It's up to agency and brand leaders to see what's coming first and prepare for it, as technology advances quicker than ever, according to Sarah Wood. Success for both brands and agencies means planning for the future as early as possible across every facet of your business, said Unruly CEO and co-founder Sarah Wood. 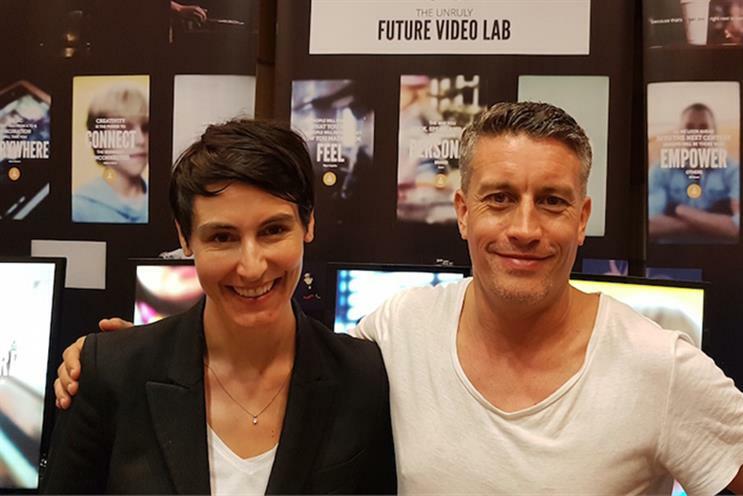 That goes for strategy, technology adoption, creative thinking and internal structure, Wood told Campaign Asia-Pacific at the unveiling of Unruly’s ‘Home of the Future’ at Cannes Lions. "[As a leader] it’s your responsibility to be looking round the corner because the technology waves are crashing so quickly, and each new wave comes along ever faster than the one before," she said. "You can’t afford to miss the next wave of innovation." Innovation is a key pillar at Unruly. The video ad tech company continues to evolve its capabilities, with recent additions such as emotional data tool Unruly EQ highlighting Unruly’s drive to differentiate itself in a crowded market. Through such thinking was the Home of the Future created, offering Wood and Unruly’s vision of what the connected future home could do and how brands can interact within it. Based on internal research and surveys, Wood says the project is an exciting innovation and "a whole new marketing and advertising canvas". "Brands are very keen to understand how they can interact with consumers in an ‘always on’ home, the risks and opportunities," she explained. "The opportunity for greater personalisation, point of sale interactions, more immersive experiences, but also risks around data privacy and security." The data is crucial to planning next steps, Wood said. For example, around half of the people surveyed believe the connected home will make for a healthier, happier environment, which is good news for brands. However, 41 percent have security concerns. It is these insights, married to the innovative approach of the connected home, that Wood said are crucial in terms of future planning. "Asking questions rather than bringing solutions is absolutely key. It’s too soon to know which technologies will take off in the next few years, but being part of that conversation is absolutely critical," she said. "What I say to any leader in our industry today is you need to be a futurist if you’re going to be a successful business leader." For Wood and Unruly, it’s about having these conversations with brands as soon as possible so they can understand what consumers will want from them in the not-too-distant future and be ready for it. "Consumers want value in the connected home, and that’s resoundingly what our data finds," she said. "They want to save money, and are looking to brands to help. But home is a sanctuary, it’s the place we raise our children. It’s important that brands respect those boundaries and assist in any way they can." The topics of safety and security are far from future concerns, particularly in the advertising industry, and Wood said for true brand safety in the video space, third-party validation is the benchmark. This standpoint is unsurprising given Unruly’s tier one certification under the inventory quality guidelines of the Trustworthy Accountability Group (TAG), the only pure video SSP to be so accredited. "That’s an investment in time and money, and seeing that investment bear fruit is exciting," Wood explained. "Being able to lead with brand safety within our premium environment is key." Several other large media and ad tech players are tier two accredited. But for Wood, the notable difference between the tiers is third-party validation in tier one, versus self-validation in tier two. "We shouldn’t be allowed to mark our own homework," she stated. "We’ve always welcomed third-party validation and tracking because that’s how brands can make sure they’re making the most of their investment." Ultimately, it comes down to brands building meaningful, long-term relationships with consumers, and all of the aforementioned – innovation, future-proofing, brand safety and emotional data – are Unruly’s key pillars in helping brands achieving this, Wood said. "Our vision remains the same, and that is to transform advertising for the better," she said. "The tools we have at our disposal have changed but it’s about bringing data and humanity to bear together, because it can be extremely powerful."